Just as it does in national, state, and local elections, your vote matters at ASCE. Your elected volunteer leaders work to serve your needs as a member, help shape the profession, and help move the Society into the future. And, for the next couple of years, whoever you choose as the President-Elect will champion the issues important to you. 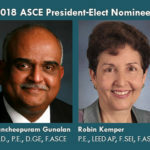 The official nominees for 2018 ASCE President-Elect, as selected by the Society’s Board of Direction Nominating Committee, are Kancheepuram (Guna) N. Gunalan, Ph.D., P.E., D.GE., F.ASCE, and Robin A. Kemper, P.E., LEED AP, F.SEI, F.ASCE. Should technical representation be increased on ASCE’s Board? 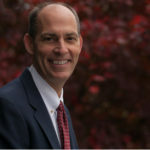 A Constitutional Amendment to increase the size of the Board of Direction to 18 members, allowing the third Technical Region Director a voting seat at the table, is included on the ballot this year. Now is the time to make your voice heard and shape the future of the civil engineering profession by voting. Don’t let others decide for you. Voting is an easy and effective way for you to place a stake in the future of this organization. And we’ve made voting easier this year. Simply use your ASCE login to vote. Not sure who to vote for? Get to know your candidates better through our online resources. 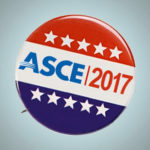 Even if a race isn’t contested, voting shows that you support those willing to serve and help reach the goals of ASCE and the profession. Please take the time to vote online today! In the week leading up to Earth Day, ASCE News compiled a collection of current thinking and activities on sustainability, including new and recent interviews with experts sharing their insights. Enjoy the great sustainability coverage at ASCE News. Our upcoming Virtual Career Fair is a free event enabling job seekers and employers with openings to connect face-to-face online. It’s coming Wednesday, May 17, starting at 11 a.m. ET/8 a.m. PT. Find out more about the virtual fair online, including a list of organizations and job seekers, and register online today. The updated edition of ASCE 7 will feature two new ways to get the most out of this essential standard for structural engineers, architects, and building code officials. ASCE 7-16, Minimum Design Loads and Associated Criteria for Buildings and Other Structures, will be released in print – available for preorder – and later this summer as an easy-access digital reference, ASCE 7 Online, joined by a new ASCE 7 Hazard Tool that easily calculates design parameters. Preview the changes in ASCE 7-16. For a limited time, view free collections of papers available courtesy of the newly renovated ASCE Library online. These collections are put together surrounding ASCE conferences or events to help you gain some background knowledge in your field of choice. To view the collection of papers, all you need to do is register with the ASCE library. ASCE Membership is not required. Engineering career adviser and professional engineer Anthony Fasano offers tips on how to choose the right networking events to make the best use of your time. 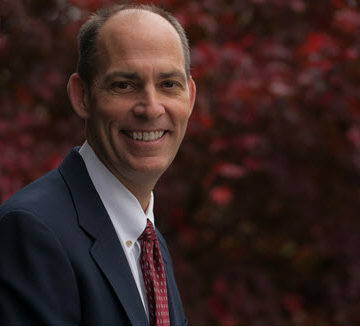 Check out his latest Ask Anthony post to ASCE News, plus the archive of his past posts. Thank you to the 2016 donors to the ASCE Foundation who helped make change possible locally and across the globe. The Foundation’s 2016 Annual Report highlights the programs and events that gifts to the Foundation impacted. Read the report. Know someone you work with who would benefit from ASCE but is somehow still not a member? Invite your peers through ASCE’s referral program, and you’ll also benefit when they join. See how easy it is to claim your reward following three easy steps. If you or a young engineer you know are looking ahead to taking the P.E. Civil, S.E., or Environmental Exam, ASCE’s exam review courses are just the study plan you need to be prepared. The plan features expert instructors’ interactive courses and reference materials, which will build your confidence so you’ll feel ready to pass. ASCE Week offers members a great way to make a lot of headway toward renewing your license. Collect as many as 42 PDHs in great seminars at the next ASCE Week, coming to Las Vegas this fall. Choose from 11 of ASCE’s most popular face-to-face seminars and take part in a private Hoover Dam tour. Register for two seminars and save up to $1,100, or save up to $450 off one seminar. Don’t miss your chance to save.